I can become completely absorbed in crafting. I’m not talking about a few hours here and there, I can be lost for weeks in one project after the next as my sense of time disappears. Nothing else matters to the point where I resent the distraction of eating. In fact, it’s been a challenge to step away from my current projects to write this post. If you’ve experienced flow, or something close to it, this won’t seem strange to you. Psychologist, Mihaly Csikszentmihalyi, first described the phenomenon of complete immersion in an activity as ‘flow’. Flow, Csikszentmihalyi says, is the secret to happiness. Now I’m not an artist and my craft is mostly utilitarian, being home repairs or the creation of something practical to enhance my life, but I do get great pleasure from the problem-solving nature of crafting, the level of mindfulness that can be achieved, and the reward of the end product. The rewards stretch even further for me because I use materials I already have. This saves me money, which I can spend on other joyful things (or working less), and reduces my negative environmental impact through reduced consumption of virgin materials and reduced waste – that makes me feel good too. Not everyone who crafts will experience flow but other recent studies (all in the beginning stages) suggest that crafting is good for mental health and may even reduce cognitive decline. It seems creativity that takes concentration is a non-medicinal way of getting a feel good high. Children can also benefit from crafting by developing their fine motor and bilateral coordination, self-expression, self-regulation, persistence, imagination, and problem solving skills. So, what are you waiting for? Start crafting! I'm not much of a stylist but I made these cushion covers from 3 unwanted scarves and a top, and I'm really happy with how they turned out. I even used up an old pillow and pillow case in the process. . . I didn't make these just to use up material (because too many cushions are annoying); after 12 years of looking at the same 4 cushion covers, I needed a change. Repurposing things means I lower consumption of resources, reduce waste and save money. They'll also look good in our house IMO 😉🤗. Crafting involves making things by hand using various fit for purpose materials. 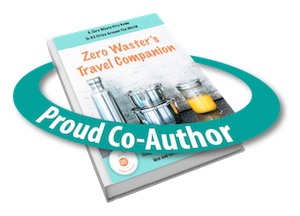 Zero waste living involves diverting as much material as possible from landfill in the process of living our lives. Reuse and repurpose materials already in our possession, no matter what they are made of. If something in my home can’t be readily rehomed when we’re done with it, I will often deconstruct it into parts for reuse. Clothing, for example, will be disassembled into zippers, cords, clips, hooks, lace, eyelets, buttons, elastic, and ribbons. I store all the parts in boxes and jars so we can easily find them when we need them. This also applies to previous home craft projects or kindergarten and school art projects. I take photos of the special artworks and then pull them apart to reuse the parts. Obviously, you will want to check with your child that their heart won’t be broken if you do this to their work. Reuse and repurpose materials obtained second-hand, no matter what they are made of. These materials might come from a car boot sale, tip shop, opportunity (thrift) shop, or someone you know. Basically, these materials are at the end of the line and if no one uses them they’ll end up in landfill. There are valuable materials everywhere that could get a lot more use before we discard them. If you take the view that everything is a resource, you will never be without. Waste not, want not. Use materials found in nature like shells, seed pods, leaves, nuts, dried flowers and pebbles. Both children and adults can benefit from nature play; crafting with materials collected directly from nature is one way to do that. The materials can easily be returned to nature when you are done, without producing any waste. Use new materials that were made from nature like jute, cotton, cellophane, cardboard, metal and glass. Usually these materials are easily reused, recycled or biodegradable so they don’t need to end up in landfill when you are done with them. Packaging often becomes an issue when we need to buy new supplies. It is hard to avoid single use plastic, but try to find products in packaging made from natural materials, which can be reused, recycled or composted. If you can’t avoid single use plastic packaging, try to recycle it. Soft plastic can be recycled through the REDcycle program and rigid plastic can usually be recycled through Councils’ kerbside collection facilities. Ask ourselves if we really need it and make the most sustainable product choice we can. I wondered if I could craft and repair items without glue for a long time. After testing this out for a while, I decided that a strong glue was something that could save many other items from being discarded, and was therefore worth having despite there being a small amount of waste. So, I looked for a glue fit for my purposes which was produced with sustainability in mind. Walked into our little IGA and look what I found, biodegradable sticky tape! I almost didn't get it because I thought 'what's the point of making a biodegradable sticky tape if it is still packaged in a PVC sleeve', but then I decided I could cope with adding this small round of plastic to our family's waste because we get many more rounds of sticky tape after that. Pilot Pen Australia, who owns this brand, says the tape is made from cellulose and the adhesive is rubber based which is also biodegradable. ______ My kids were doing well crafting without sticky tape but they were very happy to have it again and went a little nuts with the crafts this weekend. Doing the vacuuming today I sucked up a number of little discarded pieces of tape with the knowledge that this will be fine in the compost bin. I love how creative and imaginative children are. My kids have a tendency to look at materials and say “I can turn that into [whatever thing they could play with]”, or they have an idea to build something, and so find ways to complete it with whatever is available. I do the same. I’ve compiled a list of all the materials currently in our craft kit to give you some ideas. Most of the items have been rescued to be reused as described above. For other items that I use, I have directed you to Buy Eco Green which is a great Australian online store with strong environmental principles. Buy Eco Green (BEG) do not have an affiliate program, so I do not receive a commission for any purchase you make. However, I am very pleased to share that Buy Eco Green is allowing me to offer you a 10% discount across the store on all products when you use the code TLB2017. This is my way of thanking you for supporting Gippsland Unwrapped and I hope it helps you to achieve your sustainable living goals. Some items may arrive in a plastic bag; however, this is the same packaging that BEG received the product in. There is almost always going to be packaging somewhere in the supply chain but we’re not adding more waste to that. Cellophane Sheets – real cellophane made from cellulose derived from wood, cotton, hemp or other plant material, not plastic. Pass onto other family members or friends with children. Pencils Community – collects used and discarded pencils and stationery items for redistribution to children in need, in orphanages and schools both in Australia and overseas. Reverse Art Truck Inc. – is a grass roots artist reuse organization for the purpose of recycling materials that would have otherwise gone into landfills – making them available for the greater community, art educators, artists and crafters of all types. Resource Rescue Inc. – is a non-profit organization which collects rejects, seconds and factory offcuts for distribution to the community. Not long ago, I made a small booklet from a bunch of paper given to me. The cover, I used Marion Grasby’s Cooking Kit box. It was the right size for it. I stitch bound the book. I also made a necklace using scrap material lying around home and the focus was a house key which I decorated. I have a few house keys in my stash from locks etc that are no longer needed. From my home grown lavender, I made lavender satchels. I recycled plastic bags, by layering them, stitching a pattern onto it, and turned it into art! I love this post Tammy 🙂 I too can get swept up in projects, preferring to tinker away rather than eat! If we lived closer to one another, I would happily lend you ReMake It By Tiffany Threadgould. It is a great book by the Martha Stewart of upcycling and Head Design Junkie at TerraCycle and is full of cool ideas for kids through the adults. Thanks Erin :-). It’s amazing what can be achieved when ‘in the zone’ and just for the joy, isn’t it? I’d love to see how you store all your craft items. I have an ongoing daily struggle torn between wanting to save everything for other purposes and also wanting a clutter free house. I’m finding it hard to be an upcycler and a minimalist! I’m guessing the real clue is reducing the actual amount of packaging coming into my house but even just saving the ‘who gives a crap’ toilet rolls, paper cover, pasta cardboard boxes, yoghurt containers etc for craft builds up so quickly that it becomes overwhelming! I have a woven basket in the cupboard where I put these craft things but it’s full to bursting! I’ll try to remember to share some photos when we get set up in the new house because right now it is spread all across a bench so that I can easily group and organise materials as I find them during the house clean up. Prior to this though, we just stored the jars and boxes in a couple of large drawers. I don’t keep any of the toilet paper wrapping, pasta boxes or anything like that because I know we are going to have some most weeks if we need them. That is, unless we have a specific project in mind, then we save them. 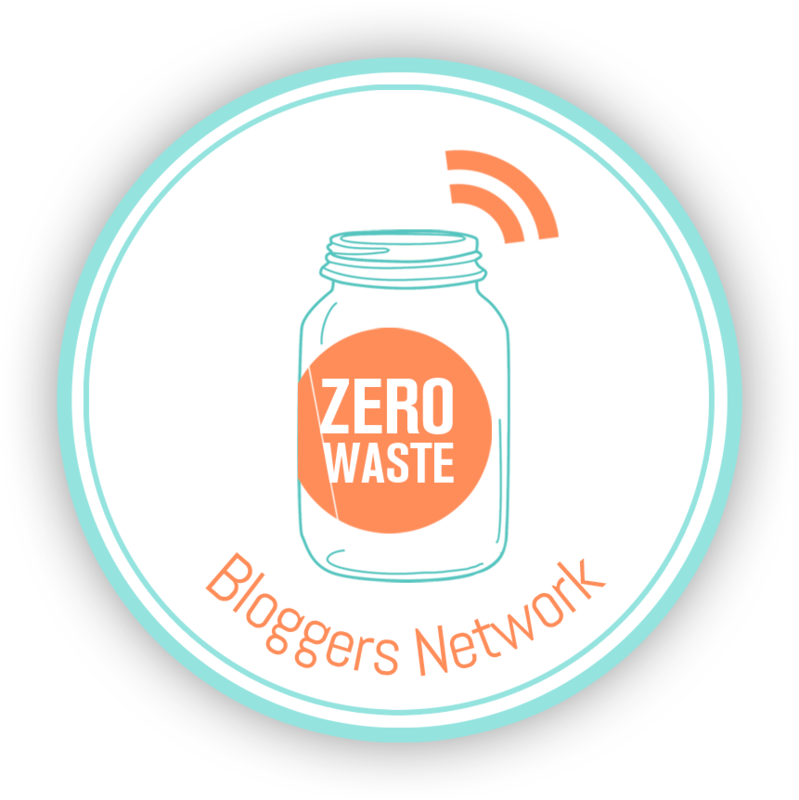 Did you see my post on zero waste and minimalism? https://gippslandunwrapped.com/2016/06/24/minimalism-and-zero-waste/ I guess it depends on how minimalistic you want to be but I think I have found a good balance between enjoying a clutter-free environment and keeping useful things. Makes perfect sense. I’ve never heard of anyone doing that before but what a great idea! Ive just been repurposing sheets into all sorts of other things from a doctors play set for kids to bags and ironing board covers. You know, many people think they’re doing it tough but I don’t see many people being as resourceful as this. Everyone has forgotten how because of the constant messages to consume, and it’s these messages that make people think they don’t have enough already. Real cellophane is a natural product?! Mind blown.